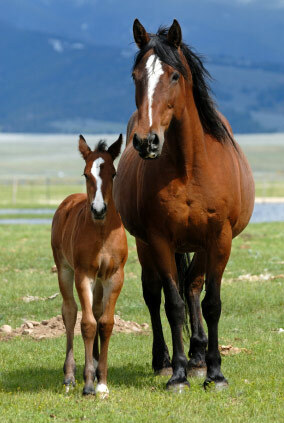 You are here: Home / Articles & Advice / Equine Worms – Did you know? Equine Worms – Did you know? Survey shows: Owners don’t fully understand worming !! The National Equine Health Survey was carried out in 2013 and although that was a while ago we agree that some people are now a little more up to speed, a good many are still behind the times. The survey shows that only 50% of over 1000 people wormed their horse effectively for encysted small redworm. Although a small percentage said they had used the correct worming product or wormed correctly for encysted small redworm, the product they actually used, was unsuitable for that particular problem. Even worse, some did not provide any treatment at all for encysted small redworm. Surprisingly, the most common reason given was that they used lab testing for egg counts. It appears that they were not aware that the lab tests would not show the encysted worms. Others were not even aware that the encysted small redworm should be treated. Of those who did not provide any treatment at all for encysted small redworm, the most common reason given was that the horse had had a clear faecal worm egg count or that the owner wasn’t aware that they had to treat for this important condition. Int Dip - Good layout, easy to read and friendly helpful tutor.